Path to Glory review ! The book itself is 90 pages soft cover. It's very dense with infos, rules, tables and battleplans - no space wasted ^^. 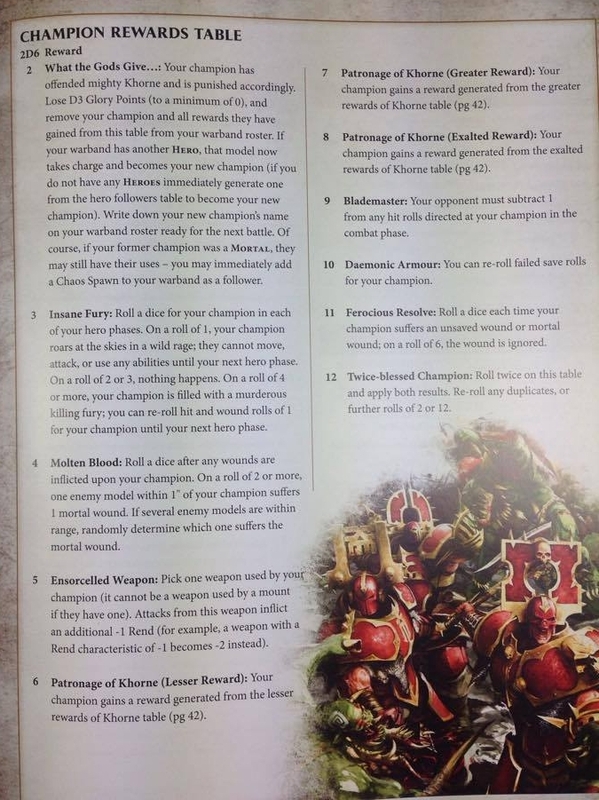 There are rules for 20 warbands. 17 Start collecting alternate starts. What is Path to Glory ? 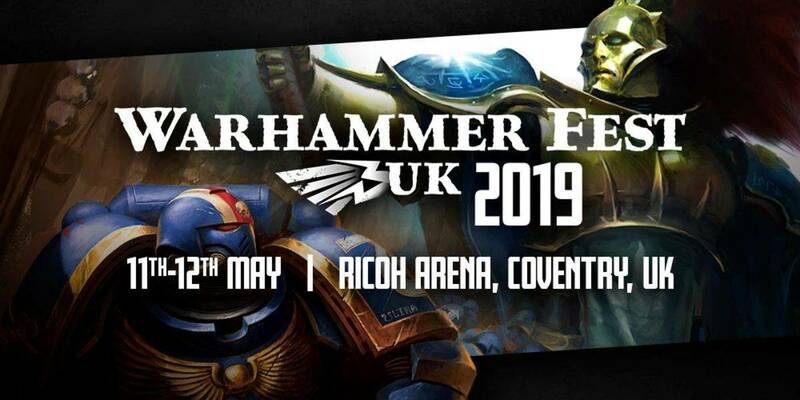 Path to Glory is an Age Of Sigmar campaign mode where your warband earns "Glory". You amass glory and recruit new units or improve existing ones. 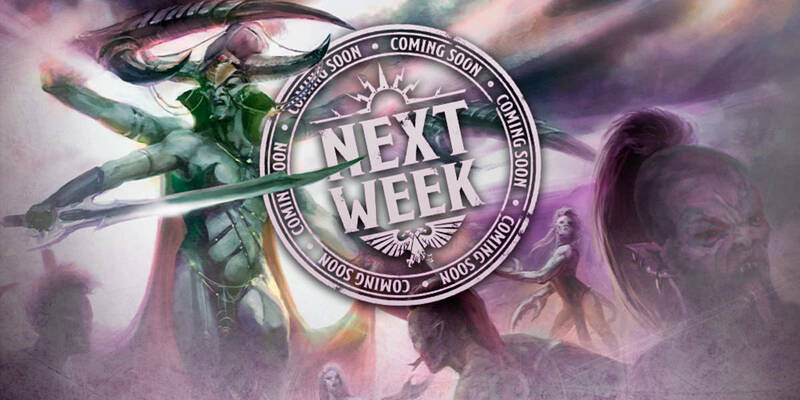 This is a resurrection mode campaign (dead members and losses are restored between games). There is an objective to the campaign - the first player to complete it, WINS ! 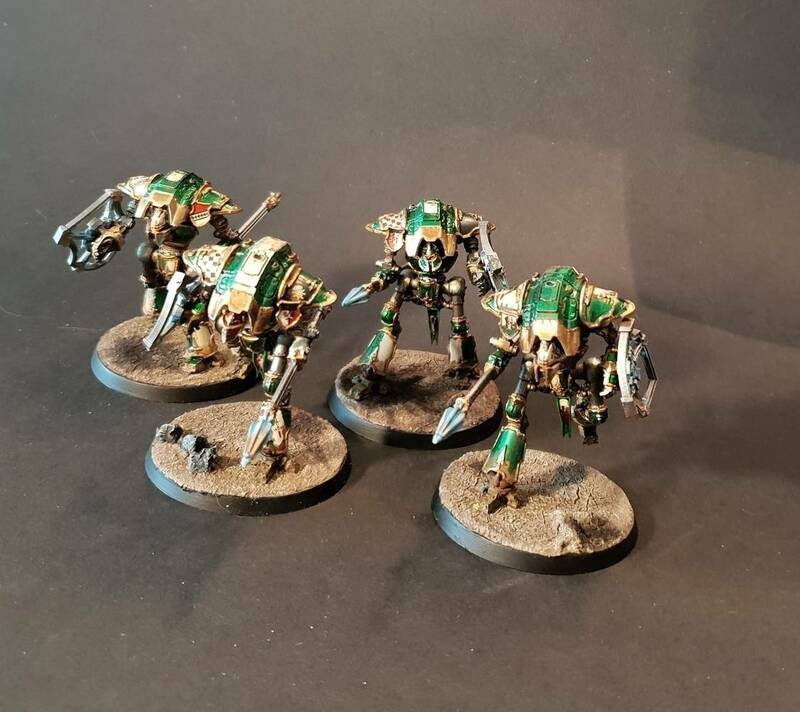 Generating a warband is quite simple, you don't need the General's Handbook or a battletome. 2) You choose One champion in the corresponding Table. 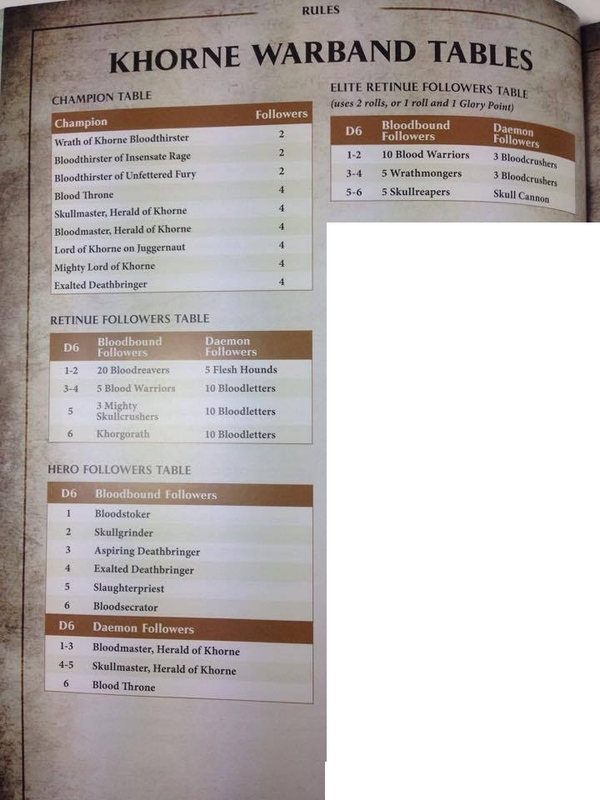 3) Choose or Roll a number of follower units/model depending on the Champion chosen. 4) You can forego a follower choice to roll on the rewards tables (champion or follower). -ps : Elite Retinue Followers Table require spending two rolls. 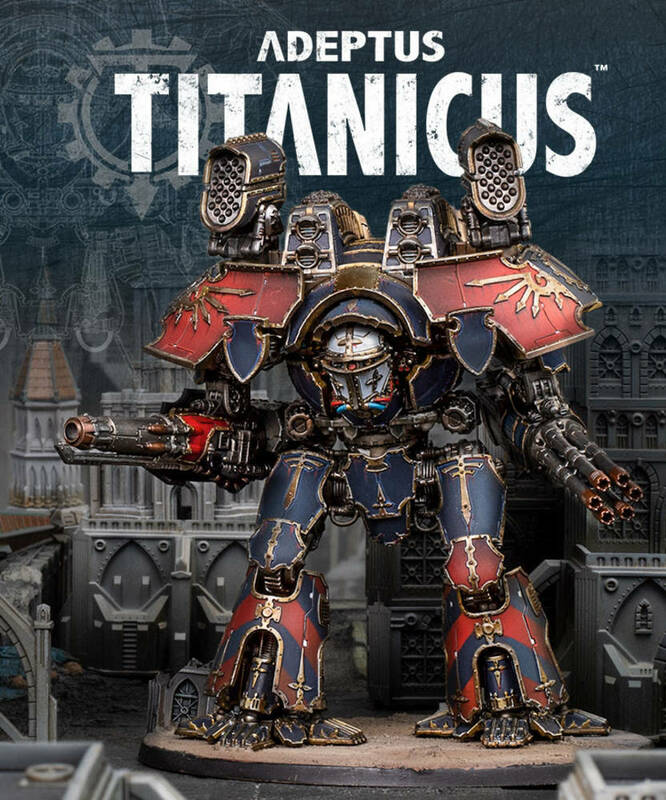 As you notice, it covers the Mortal and Daemonic side of Khorne. 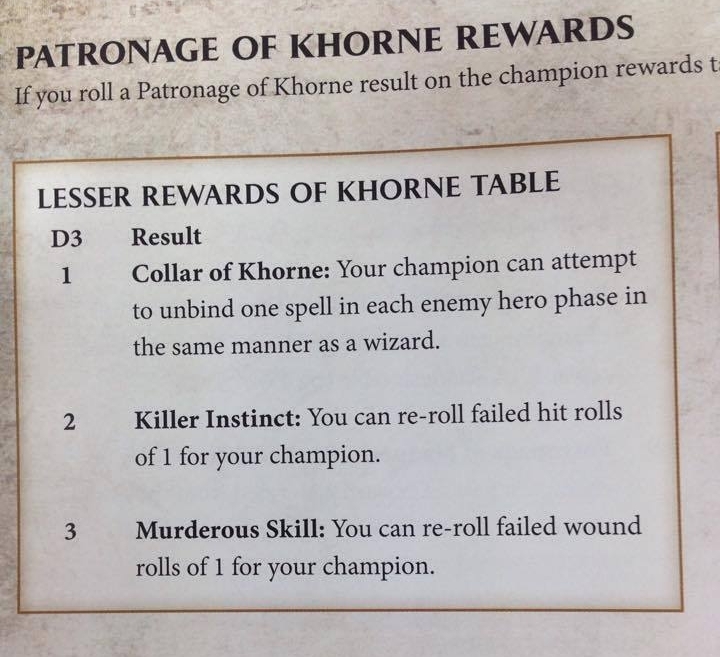 5) use 1 choice to roll on the reward table for my Mighty Lord of Khorne.. I noted everything on the roster page and was set to go. 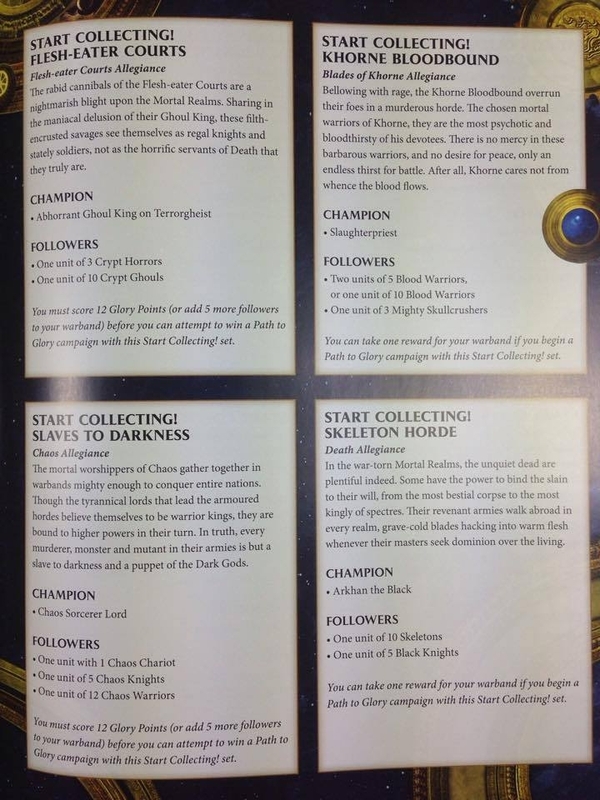 In the book there is an alternate way to generate a warband by using a start collecting box. There is no simpler way to start you play with the content of the start collecting. You get a small bonus (one free reward) or one penaly (win at 12 Glory points instead of 10) to balance powerfull starter box. 2) the looser gains 1 pt. -if it's a 2 rolls follower table the cost is 1 glory. -You can add new units from a different warbands if it's in the same grand alliance. 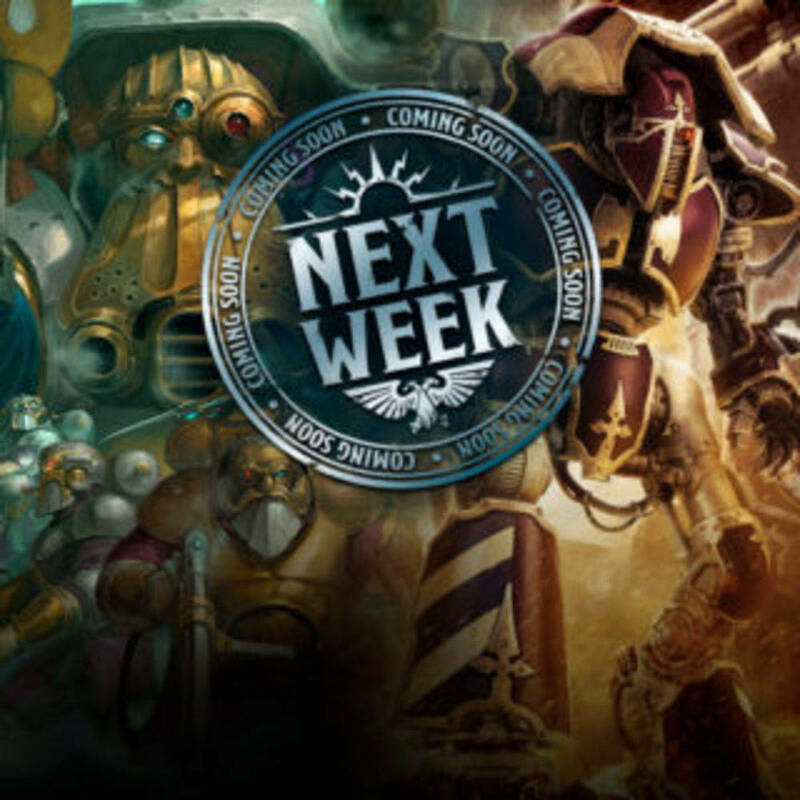 To win you must have 10 Glory points or 5 new units. (it's 12 glory points for certain start collecting box) + WIN an extra game !